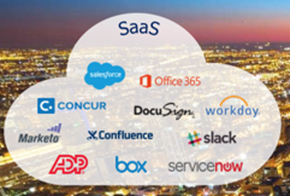 I want to start by showing some of the major players in the Software as A Service (SaaS) market, I want to put an ask here, if you are using any of these SaaS based workloads and there is no native way to protect your data then I would like that feedback and to understand what that workload is and what areas and specific features would you like to see around that SaaS offering. Version 1 and 1.5 was completely concentrated on Office 365 mail and mitigating the risk against losing access to mail and recovering from many of the common issues we see. Not understanding retention policies that are set by default and really any confusion when it comes to those offerings. Outages – even the public clouds can have outages as we have seen over the last few years. Two of the biggest improvements that were made in the update from 1 to 1.5 was firstly scale, this was one of the number one requests from those customers that had been testing and using the v1 of the product. Much to the same affect within Veeam Backup & Replication to increase scalability of the Veeam environment you could add multiple proxies or repositories to the Veeam Backup for Office 365 environment to increase the scale in which can be protected with that one single management interface. An additional aspect of scaling was the ability now to enable the Veeam VCSP reseller community to also offer Office365 Backup as A Service in a multi-tenant architecture. Now to service both of those elements from a scale point of view, the large environment and the service provider an element of Automation and Self-Service Restore had to be also included into the 1.5 release. With both PowerShell and RESTful APIs exposed it allows for the chance to perform management, deployments and configuration backup jobs to run. It also allows enterprises and service providers to create their own self service restore console. V2 brings two major new features, SharePoint Online and OneDrive for Business. Let’s look at what can be protected here, SharePoint sites, personal sites, group sites, subsites. Classic & modern experience sites are both also supported. 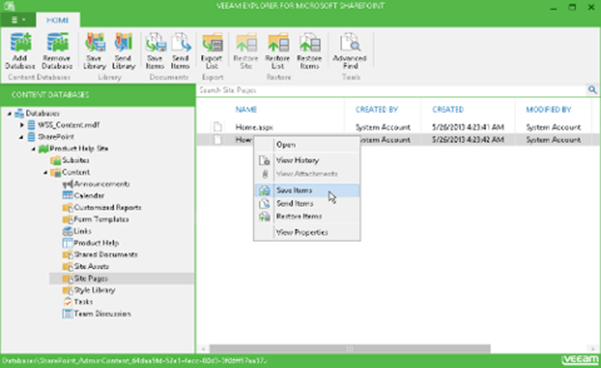 From a recovery perspective there is also the ability to use the same Veeam Explorer for SharePoint that can be used to recover on premises workloads that are running SharePoint and where they are protected by Veeam. The ability to backup OneDrive for Business users and groups with extended attributes including shared access are the capabilities of this new feature. When it comes to restore this introduces a new Veeam Explorer and one that specifically allows for granular restore but also bulk restore operations. Another cool function as I am a heavy Office 365 user and a very heavy Microsoft OneNote user, this new version can backup and restore OneNote documents. I now would like to close touching on how the architecture works now that we have added this new functionality. 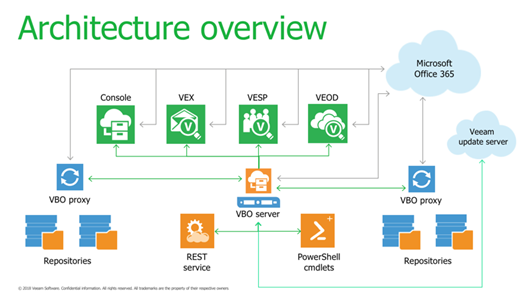 Taken from the official slide deck is a simple yet scalable architecture looks at Veeam Backup for Office 365 v2. The main component here is the VBO server and depending the size of environment will depend on how these components look from one server has them all or a distributed look at these components but always the infrastructure management is performed on that VBO server. We can then see the management console and the Veeam Explorers. To bring the data from Office365 or this could also be used to protect Exchange 2016 instances on premises this is done by the VBO Proxy. Those proxies can be scaled out accordingly depending on the size of the environment. We have those API services that can also be leveraged by third party tools to drive actions. Finally, we have the repositories these are not your traditional Veeam backup repositories because these are storing data received from source to the Jet DB. This is Jet DB is the same format that is being used within Office365. Interesting and timely post old buddy. Most useful.